Sleepy Suffolk – now there’s an overused term that we find our county dubbed with time and time again. Not necessarily a bad thing, especially when the peace and quiet of rural life is high on one’s agenda but let’s not go assuming that in every corner of our sometimes somnolent patch we’re all living at a less than energetic pace. Suffice to say that in Ipswich there’s a thriving cultural hub and at its heart is the recently developed Neptune Quay. Over the past fifteen years the once utilitarian dock has been transformed into an attractive waterfront. There may still be some developments in hand but on the whole the renovations and newly created buildings have an air of enterprise. By day University students, tourists and business people rub shoulders among the bars and cafes as they admire the various crafts moored in the marina and as evening takes over the illuminated facades are reflected in the waters of the harbour giving any European city a run for its money. It’s not so surprising then that at the heart of the developments is the highly creative and unashamedly quirky Salthouse Harbour Hotel. It’s Ipswich’s only four star hotel and just as it’s partly historic and partly 21st century exterior is reflected in the harbour waters of the Orwell at night, its opulent interior reflects the personality and luxury of a top London boutique hotel. It’s difficult to understand, or indeed believe, the vision that owner Robert Gough must have had when purchasing the then neglected Victorian warehouse back in 2003. But while many businesses have had to severely ‘take stock’ through the recession years Robert has extended the Salthouse to the dazzling waterfront centrepiece that it has become. There’s a fabulous juxtaposition between the traditional red-brick exterior of the original building and the, verging on eccentric, interior designs of the Salthouse and I think for me it’s this idiosyncratic style that I find very inviting. Sometimes luxury comes with an under-current of pomp (you know - that feeling that if you skew a cushion there’ll be an inquest in the end of the day report) but there’s an ease, an air of informality about this hotel that challenges any preconceptions one may have. In fact the rich, modern interiors adorned with vintage furniture, sculptures and eclectic art are such a talking point that it’s not surprising just how popular this rather cosmopolitan corner of Ipswich has become. Our chance to enjoy an evening at the Salthouse came one Saturday not long after the clocks had changed and so, although we weren’t dining particularly early it was still light when we were shown through to our table in the ‘Eaterie’ restaurant. Along the dockside wall there are tall windows that afford superb views across the marina and as twilight descended the vista morphed to one of twinkling harbour lights. The window recesses themselves are home to a cornucopia of curiosities – from perching (stuffed) budgies to an ornamental lamp base in the shape of a Pug – and much between. Of particular note is the variety of art on display. There’s a unique and eclectic collection of contemporary urban paintings, art house photography and pop art sculpture – quite simply something beautiful or interesting to catch your eye at every turn. In addition to the visual environment the ‘Eaterie’ also has a reassuring friendly buzz. Even though it was busy when we arrived, as you would expect for a venue as popular as this, the high ceilings mean that the background chatter is never obtrusive but adds to the overall atmosphere. Still in the season of Lent I had ‘vowed’, along with a friend, not to partake in alcohol until Easter so had also offered to be our designated driver for the night. ‘So what’ I hear you ask – well I only mention it because on this evening I discovered the perfect replacement non-alcoholic beverage for when the urge for a glass of something a little stronger must, and will, be kept at bay; the virgin mojito! When I’d ordered it (and knowing I was driving) my husband double checked with me whether I thought our waitress had heard the ‘non-alcoholic’ bit of the order. Rather than call her back I decided it would be very easy to tell when it arrived, after all I’d taste the rum, wouldn’t I? Well I tasted it, and then he tasted it and then we still had to check with the bar staff. Yes indeed the order was correct, no alcohol in sight but, crikey, it was good. Enough to make me consider a life of sobriety…well, almost! We took our time pondering the menu. Always a good sign, while some dishes will jump out as obvious choices I enjoy a menu that challenges my usual trains of thought. There were three very appealing seafood options on the specials board but I eventually decided that I would order the Pan fried hake with cauliflower, new potatoes, spinach and curried prawns from the menu as my main course and work back from there to pair the dish with a suitable starter. Casting aside a close runner up of rabbit and prosciutto terrine with pickled quail eggs I decided instead to go for arancini with paramsan and wild mushrooms. This light and attractively presented starter ticked every box – flavour, texture, quantity – very good indeed. Followed by the hake, an equally well executed dish, with the fish at its heart able to sing through the other subtle flavours, I felt I’d made some more than pleasing choices. Perhaps it was the subconscious pull of the river but my husband also veered to seafood with his starter choice of cured sea-trout with pickled beets, dill and fennel seeds. The finely sliced fillets of trout were artistically arranged in a rose-like fashion but this was in no way a case of style over substance, far from it. When flavours like these blend so well it’s a wonder we’re not a more creative nation, generally, with food. He followed with a hearty dish of roasted poussin with confit legs, sweetcorn, peas and fondant potato – another winner that left him wishing that restaurant etiquette allowed for manual picking of the bones! During my abstinence from alcohol puddings have climbed my list of priorities so a slice of lemon cheesecake with blood orange granita and espuma was duly ordered. Zingy and creamy; a perfect delight. Adrian decided to try the dark chocolate fondant with cherry sorbet, pistachios and amaretti and although, due to the popularity of the dish, the cherry sorbet was replaced with a pistachio ice-cream, it was another fabulous combination and the perfect way to round off the meal. I’ll be making a return visit, not least to make the most of perusing the well rounded wine menu with intent to consume. Not to have imbibed did in some way feel rude as selecting great wines is a passion for Robert and his head chef who make regular road trips to the continent to sample the choices that will ultimately appear. There is however a perfect opportunity on Thursday May 22 when the hotel will be hosting another of its fantastic dining and wine matching experiences. On this occasion it’s a Lestrille Bordeaux Night with Toby Hope from Hallgarten Druitt and wine producer Estelle Letrille from Chateau Lestrille Bordeaux. The evening consists of a four course meal and diners get to sample this fantastic selection of French wines. All in all, I’ll certainly be recommending that friends and family take the opportunity, should it arise, to soak up a little ‘city chic’ in our county town. 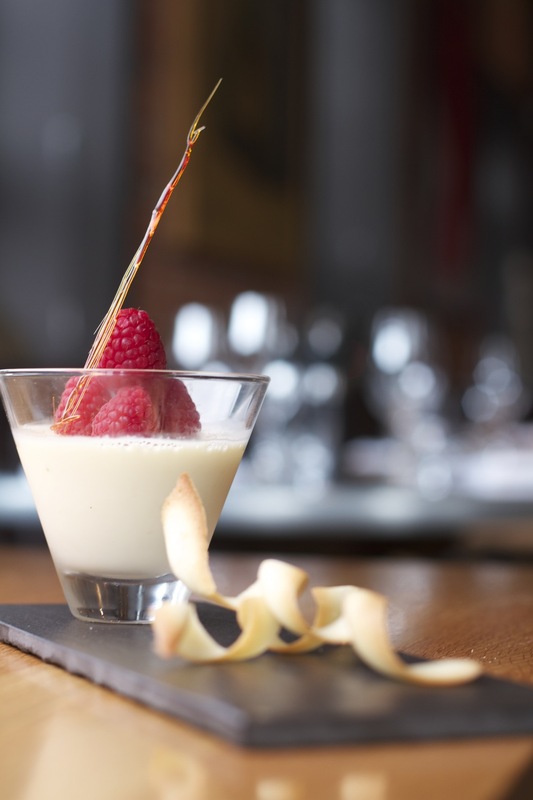 To reservation places for the Lestrille Bordeaux Night contact the Salthouse Reception team on 01473 226789. £42 per person, arrival by 7pm to start at 7.30pm. Why not stay overnight in a Salthouse room from just £99 per room including breakfast. 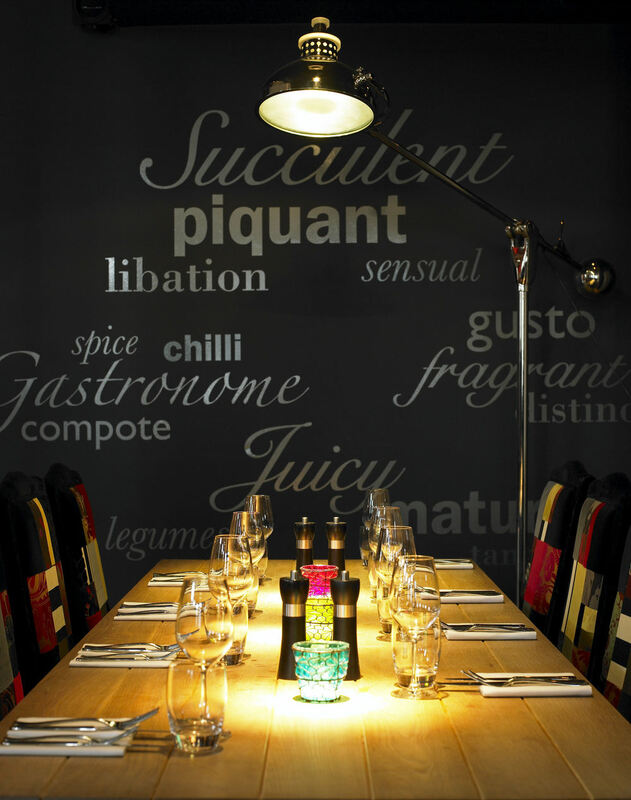 Just call Salthouse Reservations on 01284 714014 and quote ‘Wine Nights’ to book your room. Examples of the current menu plus all future events can be found on the hotels website.